The Northern Kane County Chamber of Commerce represents the Village of Carpentersville. The Village of Carpentersville is located along the Fox River in Kane County. Otto Engineering is the hub of our community. Overall, industry in Carpentersville is thriving, and many great companies are proud to call Carpentersville home. 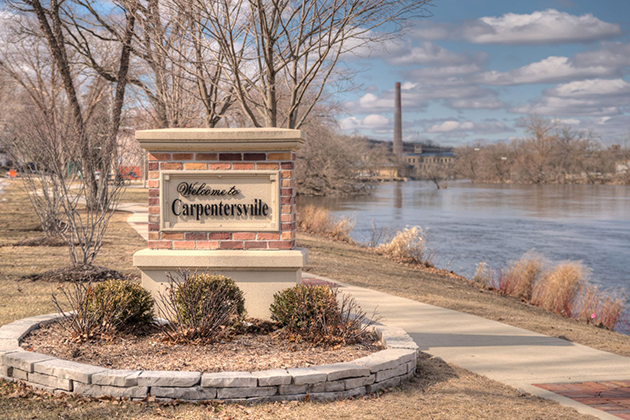 Carpentersville is proud of its residential, commercial, and industrial areas. The residential areas offer housing for people with various needs and desires. The commercial and industrial areas offer us a strong tax base, with many job opportunities for our residents and excellent corporate partnerships. The Village is very proud of the recreational areas provided within the village. Additionally, the village has bike parks and trails located on both the east side and west side of the community. Carpentersville is a contemporary community with old fashion values.